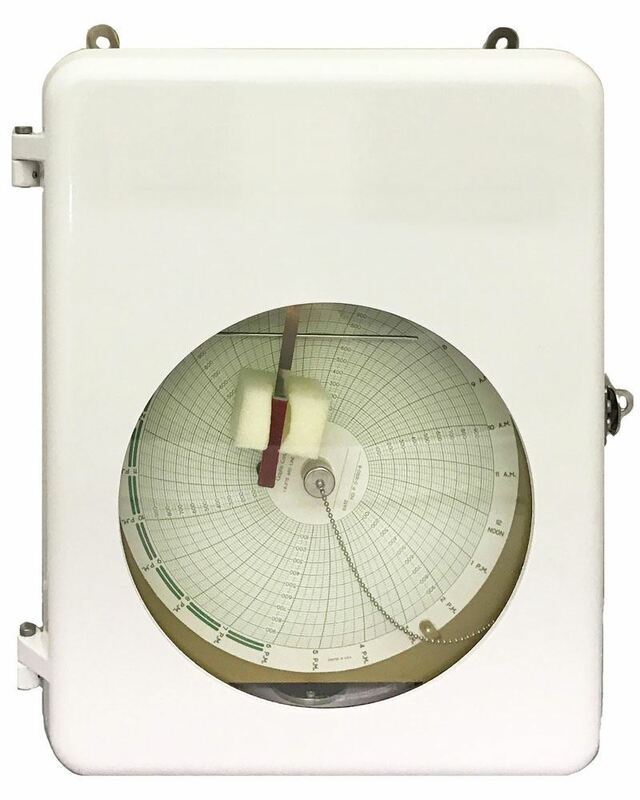 Temperature Chart Recorder - Gilson Co.
MA-80 and MA-81 Key-Wound Temperature Recorders are equipped with liquid or air sensors, offer selectable 24-hour or 7-day operation and recording, and have a temperature range of 0°—150°F. MA-80 models are wall-mounted while MA-81 units are portable. No power source or batteries are required for operation. Air sensors have bendable 14-3/8in (365mm) cable and liquid sensors are supplied with 5ft (1.5m) cable. Units include package of 100 MAA-60 7-Day Charts and a felt-tip pen. Additional 7-Day and 24-Hour Charts for Temperature Recorder, and package of five MAA-62 Felt-Tip Pens are available separately. 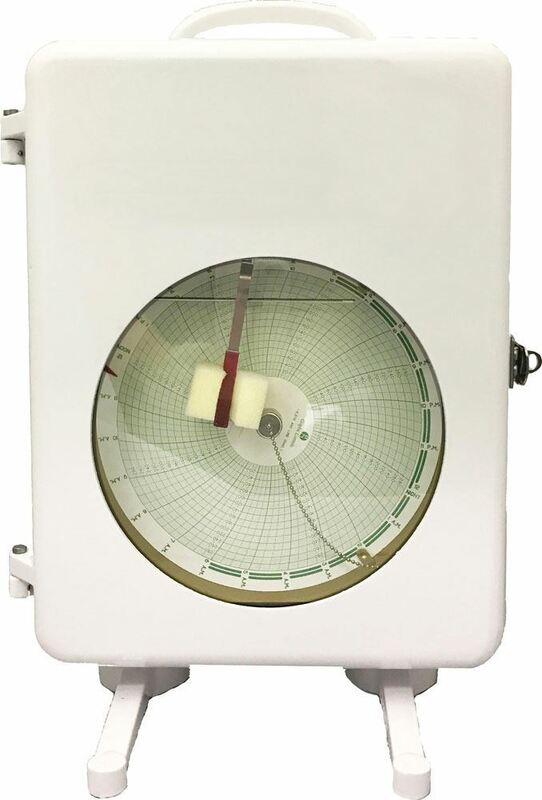 Inquire for models with NIST-traceable calibration. Temperature sensors contain mercury and may be restricted for sale in some areas; check local regulations before ordering. Also inquire for Temperature Recorders in other °F or °C ranges, and/or electric or battery-operated drives.